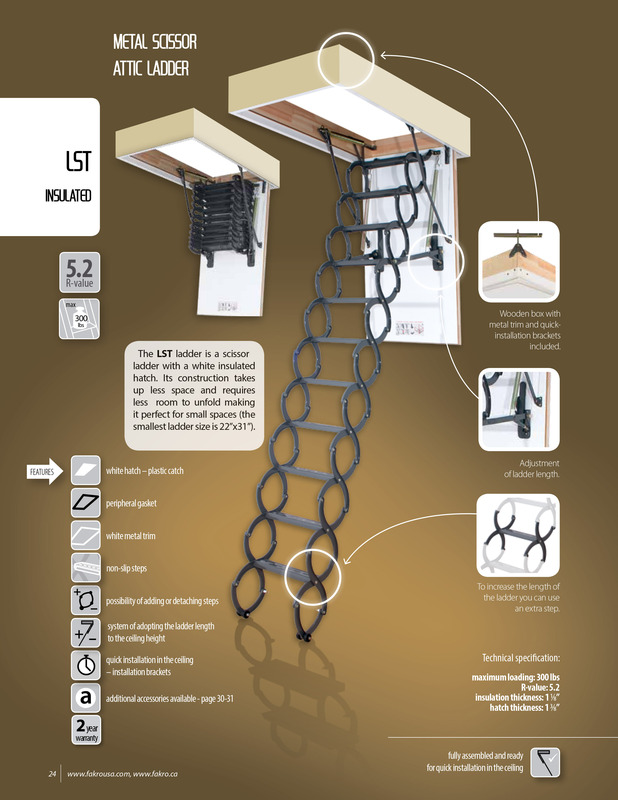 Fakro LST "INSULATED" Metal Scissor Attic Ladder | 300 lbs. Capacity - Industrial Ladder & Supply Co., Inc.
LST-668XX: Required 66875 LST Fakro Insulated Steel Attic Ladder 22x31x9' 2 1/4" 300 lbs Cap. Add'l Step Req. 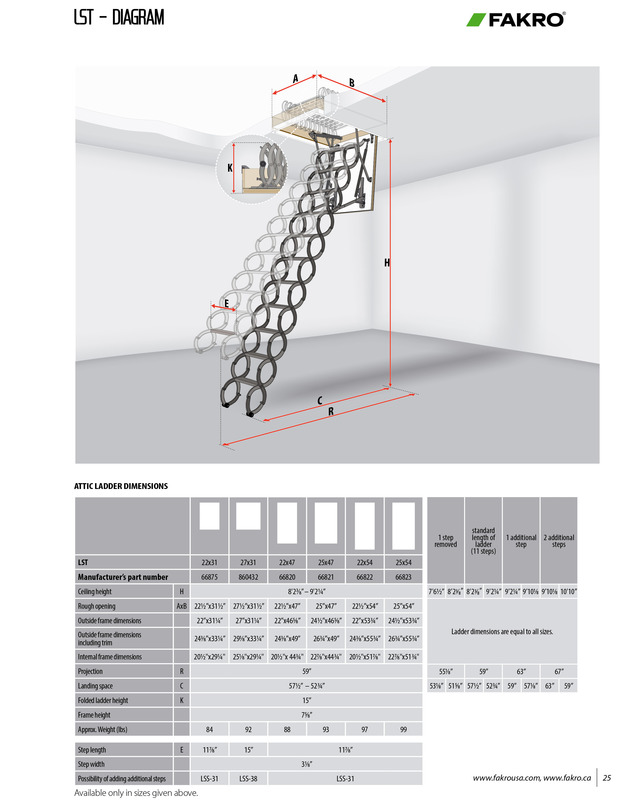 To Reach 10'10" 860432 LST Fakro Insulated Steel Attic Ladder 27x31x9' 2 1/4" 300 lb Cap. Add'l Step Req. To Reach 10'10" 66820 LST Insulated Steel Attic Ladder 22x47x9'2 1/4" 300 lb Cap. Add'l Step Req. To Reach 10'10" 66821 LST Insulated Steel Attic Ladder 25x47x9'2 1/4" 300 lb Cap. Add'l Step Req. To Reach 10'10" 66822 LST Insulated Steel Attic Ladder 22x54x9'2 1/4" 300 lb Cap. Add'l Step Req. To Reach 10'10" 66823 LST Insulated Steel Attic Ladder 25x54x9'2 1/4" 300 lb Cap. Add'l Step Req. To Reach 10'10"
Telesteps 1000L Loft Ladder / Type 1A 300 lb. Duty Rating. Door not included.